In addition to injectables, our practice is pleased to offer micro-needling to rejuvenate skin by improving fine lines, wrinkles, scars, and stretch marks. Micro-needling is a non-surgical treatment that can be done in the office with little to no down time. The device creates controlled micro injuries to the upper layers of the skin. The body reacts to this by filling the channels with new collagen and elastin, which in turn improves skin texture and firmness. Essentially, new skin replaces the old, creating a healthier and younger looking complexion. Depending on skin condition, most patients will require multiple treatments to obtain maximal benefits. 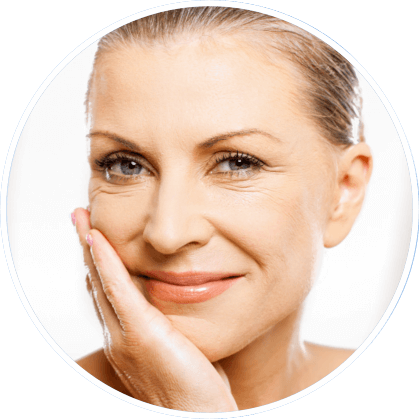 The skin’s natural repair process creates a thicker dermis while softening wrinkles. Patients have also seen improvements in skin texture and tone while reducing pore size and appearances of scars and stretch marks. Micro-needling can help repair sun damaged skin and create an overall natural glow to your skin. Micro-needling is safe to be performed on all areas of the body including your face, neck, arms, legs, abdomen, and back. Each procedure takes approximately 15-30 minutes depending on the size of the area. Patients will notice an immediate glow to their skin, but visible changes could take several weeks as collagen and elastin production take place. Some patients might only require one procedure per year, however; most will need multiple treatments. It is recommended to have 2-3 treatments for facial rejuvenation while stretch marks, deep wrinkles, and scars could require 6-8 treatments. While some patients experience zero pain, others refer to the treatment feeling like sandpaper being rubbed across the skin. Topical numbing medication will be applied prior to the treatment in order to decrease sensitivity. Immediately after the treatment your skin will appear red, which might last for 2-4 days.